Compatible with all model 4,1 and 5,1 2009-2012 Mac Pro Towers. Apple Computers. We will repair or replace. Turnkey Systems. (Read bottom. Power cord is NOT included. No exception. Picture shows actual item's condition. Local pick up isNOT available. ). Apple 980W MAC Pro 3,1 A1186 P/N 614-0400 614-0409 PSU Power Supply tested! 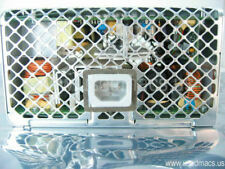 Compatible with: 2006-2007 A1186, 661-4001. Pulled from a Mac Pro 1,1 decommissioned from a school classroom. We have a limited knowledge of their prior use. Apple PN: 614-0383. Like New : No visible signs of usage. Removed from a fully working Mac Pro. Apple OEM part numbers: 614-0454, 661-5449. Note: model item shown; serial number may differ. 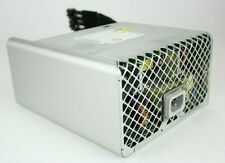 Apple MAC Pro A1289 Power Supply 980 Watts FS8001 614-0436 614-0435 GENUINE! We do not reset passwords. FOR MAC PRO 1,1 2,1 AND 3,1 (2006-2008) WORKSTATIONS. SEE PICTURES. This was removed from Apple Mac Pro model MA970LL/A. This unit is in great used condition, fully tested and functioning. Dan Batson, DGD Inc. The sale of this item may be subject to regulation by the U.S. Food and Drug Administration and state and local regulatory agencies. 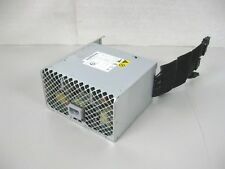 Apple 980W Power Supply Mac Pro A1186 P/N: 614-0407 614-0409 614-0400. Condition is Used. Shipped with USPS Parcel Select Ground. 2.66GHz-2.93GHz-3.33GHz Quad-Core Mac Pro, 2.26GHz 8-Core Mac Pro, 2.66GHz 8-Core Mac Pro, 2.93GHz 8-Core Mac Pro. Apple Mac Pro. MINT CLEAN! Pulled from a Mac G5 Tower. Condition is New. Original Magsafe 1 connector is L-style. Original Magsafe 2 connector is only sliver T-style. Magsafe 1 Compatible with What's the difference between Magsafe 1 and Magsafe 2 ?. 85W AC Charger Magsafe Power Supply Adapter for Apple MacBook Pro 13' 15' 17. Condition is Used. Shipped with USPS Priority Mail. 1 X AC Adapter. Replace Adapter Part Number Despite this, variations such as tip color and connector angle ie. straight/angled will not affect compatibility or performance. More convenience when use your laptop. Pulled from working Mac Pro 1,1. May also work in Mac Pro 2,1. Parting out Mac Pro 1,1 and 3,1. This was removed from Apple Mac Pro model MA356LL/A. This unit is in great used condition, fully tested and functioning. Dan Batson, DGD Inc. The sale of this item may be subject to regulation by the U.S. Food and Drug Administration and state and local regulatory agencies.